I’ve been living in Paris now for four years and while I wouldn’t exactly call myself a ‘Parisienne’, I definitely call Paris home. 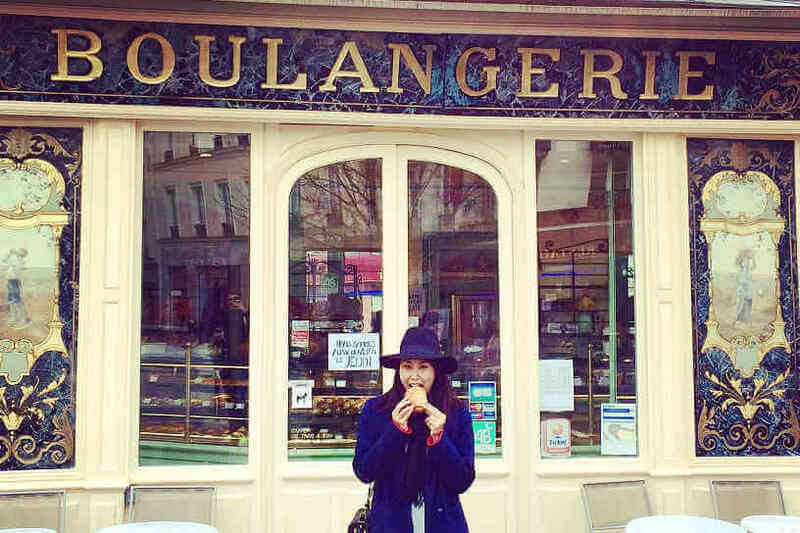 When I first arrived, I was all about snapping selfies at Ladurée on the Champs Élysées, asking other tourists for photos as I posed with wine and cheese under the Eiffel Tower and even put on a love lock on the Pont des Arts. Yes, I was a walking cliché. But now I know there are so many more beautiful places in Paris than the Eiffel Tower, the Louvre and Notre Dame… You just need to know where to go. The more I started hanging out with real Parisians, the more secret places I discovered that were way better for a French-inspired Instagram feed. So the next time you’re in Paris, do as the locals do and skip doing that cheesy pinching-the-top-of-the-Louvre-pyramid and head to these Parisian hotspots instead. 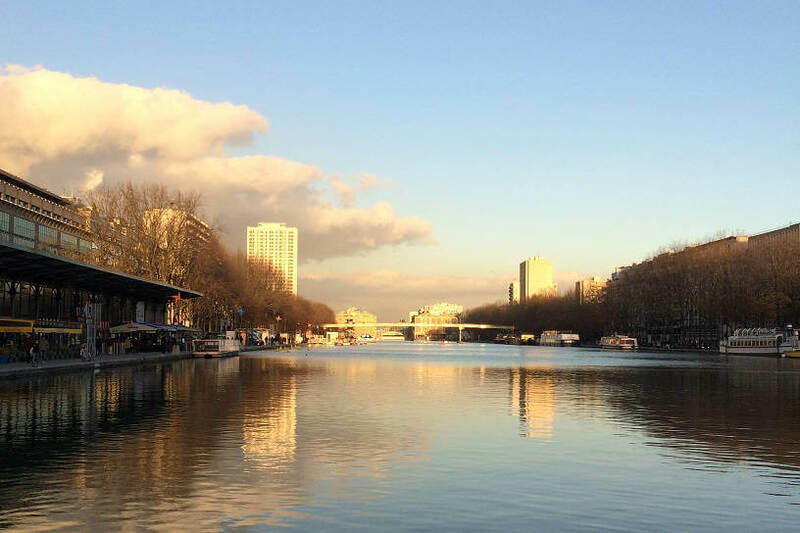 In summer, I like to go to Canal Saint Martin in the hipster-cool 10th arrondissement for an evening ‘apero’. However, I was walking with my friend the other day and discovered Bassin de la Villette, which is just a bit further up in the 19th and is equally pretty, especially in winter. 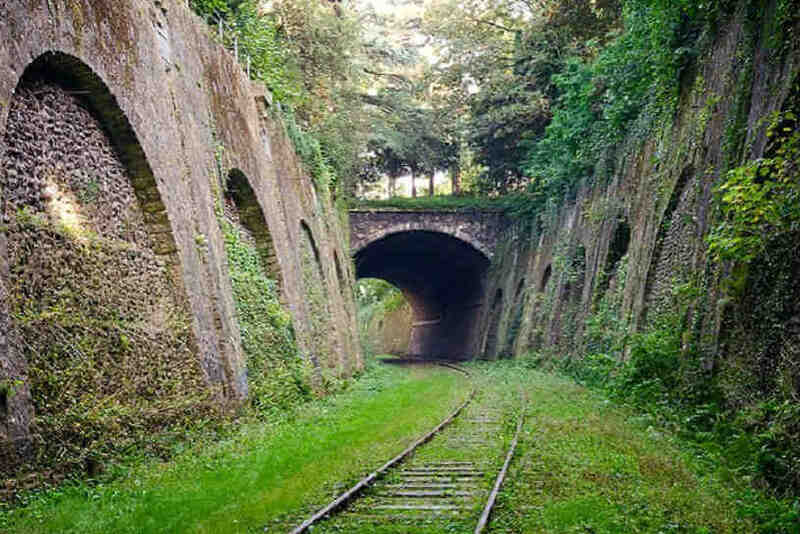 La Petite Ceinture is an abandoned railway track from 1852 that circles the périphérique. There are actually several entrances, but I’d recommend the part in the 14th arrondissement, right near Parc Montsouris. When it comes to shopping, I much prefer Le Bon Marche in Saint Germain to the overcrowded Galeries Lafayette and next door Printemps. There are a lot less tourists here so I can practise my French as I pretend to deliberate over that new Céline bag. 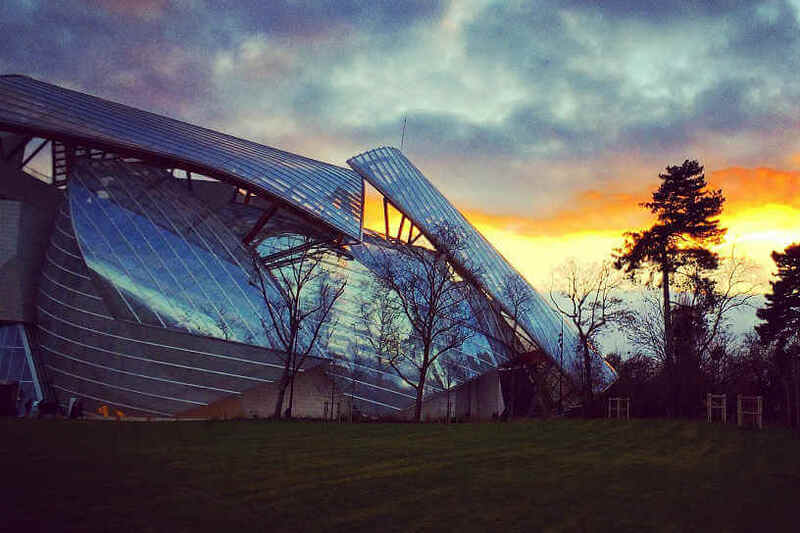 When the newly renovated Fondation Louis Vuitton opened last year, I was one of the first to head out to the Bois de Boulogne in the 16th. Frank Gehry is one of my favourite architects and – dare I say it – this could be one of his best works. It’s a two-storey glass building inspired by a boat’s sails in the wind. It definitely gives the Sydney Opera House a run for its money. One of the things I love most about Paris are the daily fresh food markets all around the city. My favourite is Marché d’Aligre – it’s filled with fruit and vegetable stalls where the owners yell out and try to tempt you with free mandarins and juicy pineapple slices. It’s so cheap as well – a handful of mushrooms normally costs me 60c, five avocadoes for €2 and a crate of the biggest, juiciest strawberries I’ve ever seen for a fiver, with a few oranges thrown in just to sweeten the deal. I stumbled down Rue Cremieux the other day and came across no less than three French photo shoots. It’s easy to see why – it’s a photographer’s dream. 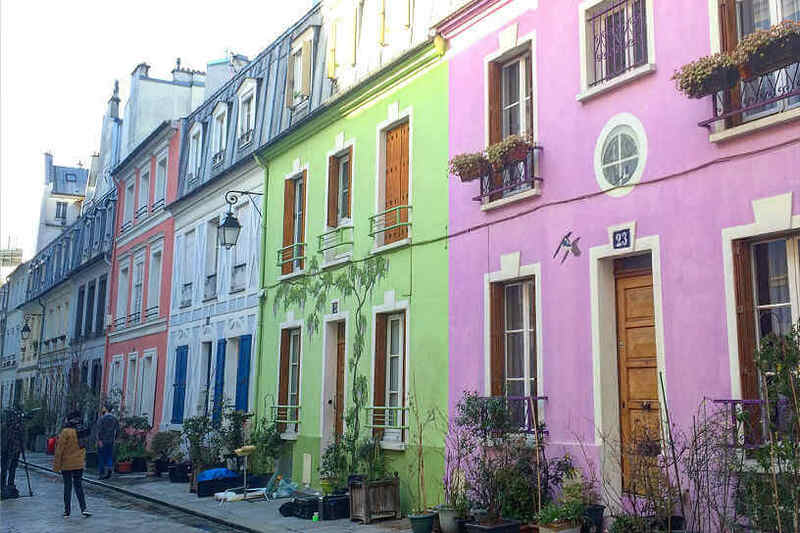 Nicknamed the ‘Notting Hill of Paris’, it’s a charming cobbled lane lined with candy-coloured terrace houses. There’s no shortage of boulangeries in Paris, although this one is a personal favourite. Just at the end of my street is a beautiful art nouveau boulangerie where I go to pick up my still-warm baguette (and maybe a buttery chausson aux pommes if I’m still in time for breakfast). Fun fact: My boulangerie is famous! It’s in Gossip Girl when Chuck and Blair run into each other for the first time in Paris. That’s definitely worth a double-tap on Instagram. Most shops and restaurants (except for the Marais area) are closed on Sundays, even the big department stores like Galeries Lafayette and Le Bon Marche. Marche d’Aligre is closed on Mondays. If you’re visiting Paris before April 2016, Canal Saint Martin is being cleaned so it’s been drained completely dry. The water will be back in time for summer though! To get to Fondation Louis Vuitton, you can take the electric-powered shuttles for €1. They leave every 15 minutes from Place Charles de Gaulle, just next to the Arc de Triomphe. Kimberlee Oo is a freelance writer and French-English translator who moved to Paris in pursuit of the perfect croissant.